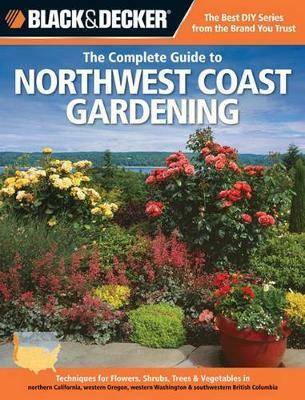 The Complete Guide to Northwest Coast Gardening takes a practical how-to approach to gardening that shows the novice to intermediate home gardener exactly how to get started. Customized for readers who live in northern California, western Oregon, western Washington and southwestern British Columbia, the book features all the vegetable and ornamental plants that are most popular in this region. Beautiful photos and detailed information make this complete book a must-have for budding gardeners. Lynn Steiner is one of the Upper Midwest's best-known garden writers and a frequent speaker at gardening and environmental events. She is the author and photographer of several books that advocate for the effective use of native plants in the typical home landscape. Landscaping with Native Plants of Minnesota, the first book designed to identify Minnesota's native plants and plant communities and to demonstrate how to use them effectively in a typical home landscape, was a finalist in the 2006 Minnesota Book Awards in the Science and Nature category. Lynn is the author and photographer of several other books, including Rain Gardens: Sustainable Landscaping for a Beautiful Yard and a Healthy World, published in February 2012. Other titles include Landscaping with Native Plants of Wisconsin, published spring 2007, and Landscaping with Native Plants of Michigan, published in 2006 and named a Michigan Notable Book for 2007. She also helped develop, wrote, and provided photographs for The Complete Guide to Gardening series, ten regional gardening books published in 2012 by Cool Springs Press. For fifteen years, Lynn was the editor of Northern Gardener magazine, the official publication of the Minnesota State Horticultural Society. Under her direction, Northern Gardener received several Overall Excellence awards from the Minnesota Magazine & Publication Association, and several individual contributors received Garden Writers Association Media awards. She now writes a column for the magazine titled "Northern Natives." Lynn lives with her husband and two cats on a 115-year-old farmstead in northern Washington County, Minnesota, where she enjoys tending her gardens and watching the progress of her restored prairie, savannah, and oak woodland.